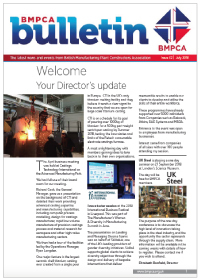 The British Manufacturing Plant Constructors' Association (BMPCA) is made up of companies involved not only in all aspects of metallurgical equipment from the design and supply of melting furnaces, rolling mills, process lines and inspections systems, to engineering services such as installation, consulting, maintenance and consumable equipment for the world's iron, steel and non-ferrous metal industries, but also in providing similar to services to a more diverse range of manufacturing industries i.e. Defence, nuclear, leisure etc. All the equipment is designed to the appropriate safety standards and meets current and envisaged environmental requirements. 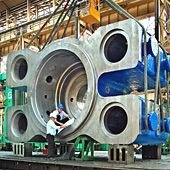 Process equipment is also designed to meet maximum output speeds with consistent quality performance. Quality enhancement involves the use of leading edge process control systems and the automation companies ensure that their technology keeps being developed to keep their customers at the forefront of quality performance. 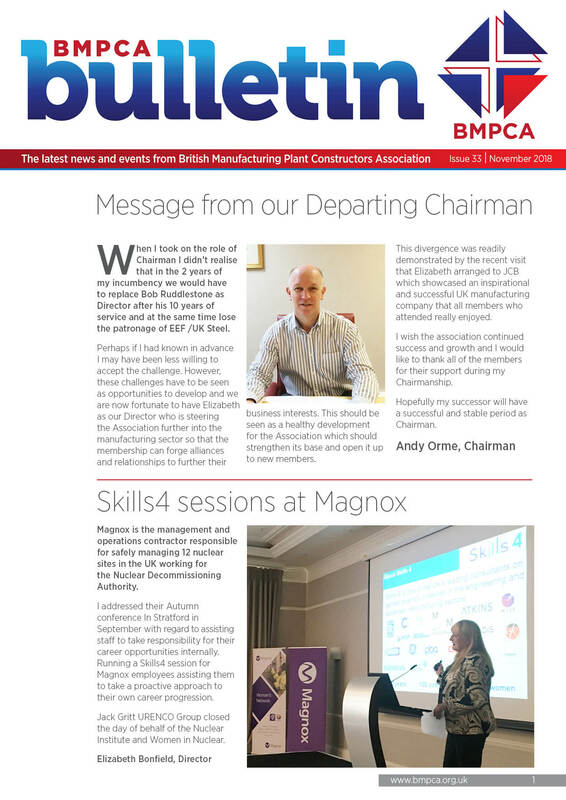 The Association serves as the forum for engineering companies in which members can identify common opportunities, devise a strategy for maximising the benefit from them and act as a united body to implement the strategy. 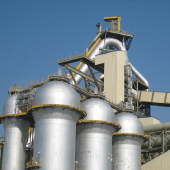 The BMPCA is also the ideal point of contact for a wide variety of manufacturing industries in addtion to the traditional base of steelworks and aluminium or other non-ferrous metals producers that are seeking specific products and services in their sector. DavyMarkham, Sheffield Forge Masters, Siemens. 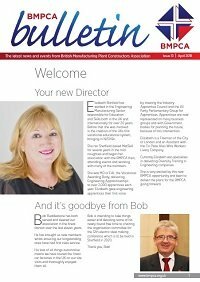 BMPCA Bulletin - Issue 31Our latest newsletter is now available to view online.